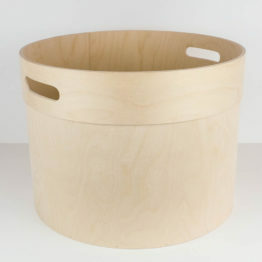 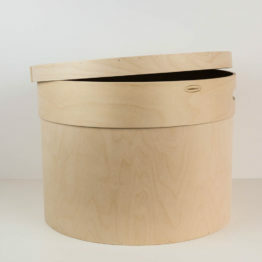 Kallekorvid laundry baskets range includes chip and plywood baskets. 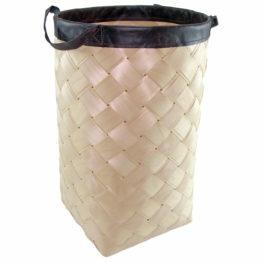 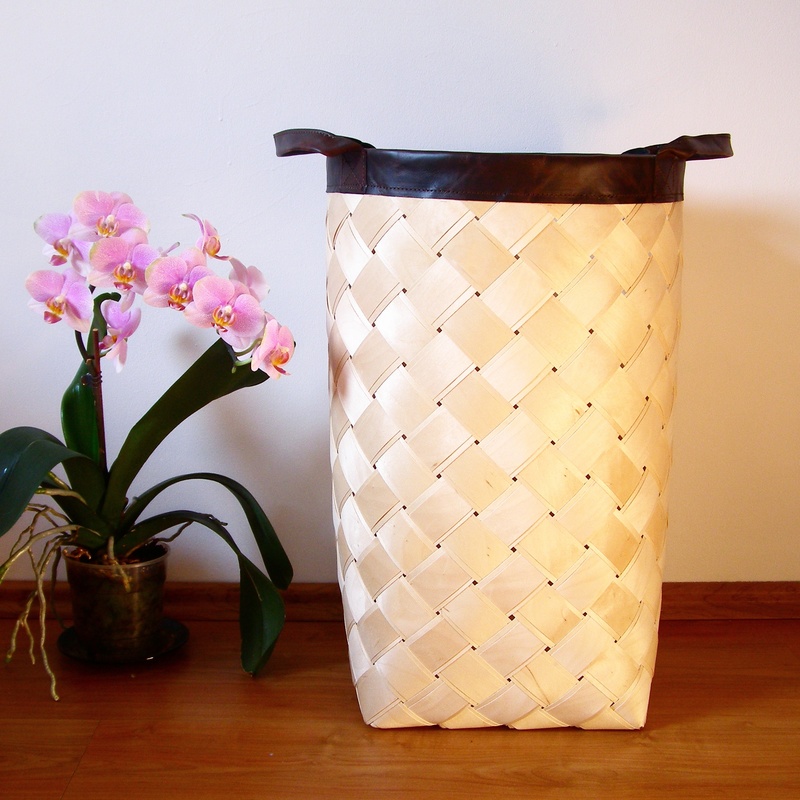 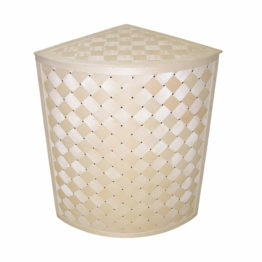 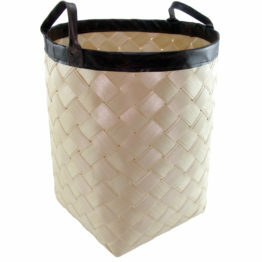 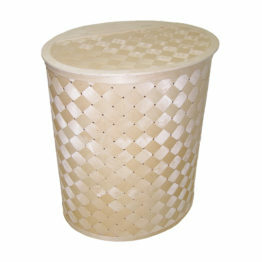 Additional to laundry baskets with lid, there are new baskets available with leather edge and handles. 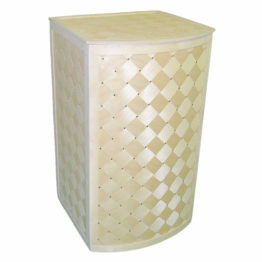 Chip parts are braided with double layer chips, which guarantees durability. 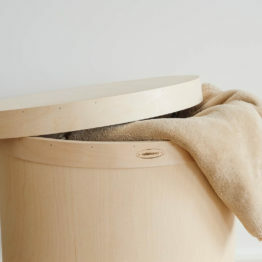 Surface of the basket is treated with oil keeping them clean and dry. 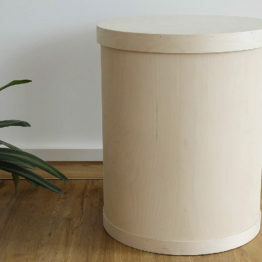 This natural nordic design fits nicely into different interiors.